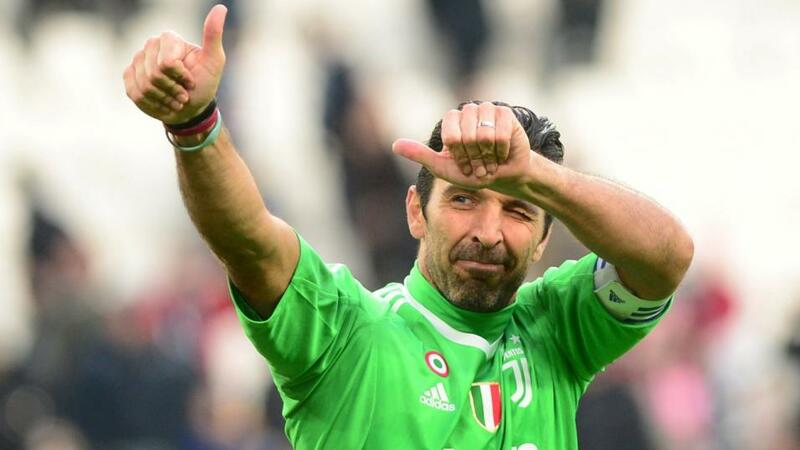 Gianluigi Buffon left for PSG and Juve will certainly miss him. The signing of Cristiano Ronaldo may make it seem like another Serie A title for Juventus is a mere formality but there's a huge factor to take into account here, says Jamie Pacheco. "But that’s not the point. The point is that [1.51] is far too short on a team who may actually not be that fussed about winning the league. If the likes of Napoli or Inter can keep within say four points of them by the time the Champions League reaches the quarter-final stages, they'll have every chance." So Juventus are [1.51] to win the Serie A title. Well, that's hardly surprising. Not only have they won the last seven in a row but they've just bought a certain someone. You may have heard of him: he's called Cristiano Ronaldo. But a likeliest winner is one thing and a good value bet are two very different things. This isn't the time or place to discuss which of the three parties (Ronaldo is one of them) ended up best off from CR7's move from Madrid to Turin. The fact is it went through and he's a Juve player. Make no mistake about it: he was specifically brought in to win the Champions League for them. It makes sense. Given he was the key player at the side who won it in each of the last three years, it's obviously a huge fillip for you (Juve) if you can prise him away. Leonardo Bonucci is back. After a year at AC Milan that included receiving a whopping signing-on fee, he decided that; a) Not playing in Europe this year after Milan were banned from taking part just wasn't good enough and b) He just loved Juventus all along and wanted to be part of their campaign to try to win the Champions League, now with Ronaldo on board. Douglas Costa has returned after being on loan. Joao Cancelo arrived from Valencia to replace Stephan Lichtsteiner (off to Arsenal) at right-back and Emre Can signed on a free transfer from Liverpool. Gianluigi Buffon went to PSG. We'll have to wait and see how much of an effect that has but it's hard to argue they'll be any better off for his exit. He's one of the great club legends. He won't be able to keep on performing at the same level forever now that he's 40 but he's not necessarily past his best; it's his personality and leadership that they'll miss as much as anything. Perhaps of even greater significance might just be the year-long loan of Gonzalo Higuain to Milan, although you can understand that one. There simply wasn't space in the starting XI for him. Juve, like everyone else, do need to get some money coming in. Having made two finals in the last four years, Juve have clearly come close. But not close enough. This season, winning it is the be-all-and-end-all. As mentioned already, the signing of Ronaldo was purely centred around doing so rather than him racking up new scoring records by bullying Serie A teams. And so were a few other transfers. The obsession is so great that they'd happily not win Serie A if it meant getting their hands on Europe's biggest trophy. Or at least die trying. It wouldn't be surprising if in some weeks at the business end of the season, they rest key players not only before a big Champions League game but also, after it. I also wouldn't be too shocked if Ronaldo starts less than 30 games this season. After all, he was rested quite a few times in March or April last year at Real and he's now a year older. So as an aside, his price of 4/6 to be Serie A top goalscorer isn't of much interest for that reason. Both Mauro Icardi (15/2) and Higuain (12/1) are worthy of a look, though. Juve of course do have by far the best squad in Serie A and those coming in for the big guns are fine players in their own right. They also have the benefit of great support even when away from home. But that's not the point. The point is that [1.51] is far too short on a team who may actually not be that fussed about winning the league. If the likes of Napoli or Inter can keep within say four points of them by the time the Champions League reaches the quarter-final stages, they may have every chance. Besides, Juve have been slow starters in recent years. That gives you two bites of the cherry in terms of laying Ronaldo and co now and backing them at a bigger price at some stage of the season. They may still win the league. Let's face it, they probably will. But there's certainly a good trading opportunity there. Juve 2018/19 Champions League winners? Yes, maybe. But the more important question is obviously: are they value at [7.0]? For me, that price looks about right. No more, no less. The arrival of Ronaldo and a few other big signings plus the fact their whole season has been centred around winning it have been more than factored into those odds already. Arguably a little too much. Better value can be found with the likes of last year's runners-up Liverpool (12.0) who have a far stronger squad than they did last year or Atletico Madrid (15.5), who have come just as close as Juve in recent years of winning it and have made some big signings in the summer of their own.